31 year old Daniel Lewis of Wigan Lane, Wigan and 45 year old Stephen Warburton of Menses Avenue walked into a Tesco on Gidlow Lane, one wearing a balaclava that was made out of a trouser leg, while the other’s balaclava was inside out. Despite their amateur appearance, these men were brandishing an axe and a claw hammer, and held the axe to one of the staff member’s throats as they demanded money from the tills. The violent duo then emptied the contents of the tills into a holdall that they had brought with them, throwing in alcohol and cigarettes. They then fled from the scene in a silver Renault Clio. Officers soon located this Clio and discovered the cash, cigarettes, claw hammer and axe that had been used in the robbery, alongside a receipt for the purchase of the weapons and the makeshift balaclavas. With the evidence mounted against them, the duo were arrested later that day for robbery and refused to comment on whether they were responsible for the terrifying incident. Warburton and Lewis pleaded guilty at an earlier hearing and were both sentenced yesterday, Thursday 9 August 2018, at Bolton Crown Court. Warburton was sentenced to 6 and a half years for passion of a bladed article, assault and robbery, while Lewis was sentenced to four and a half years for robbery. 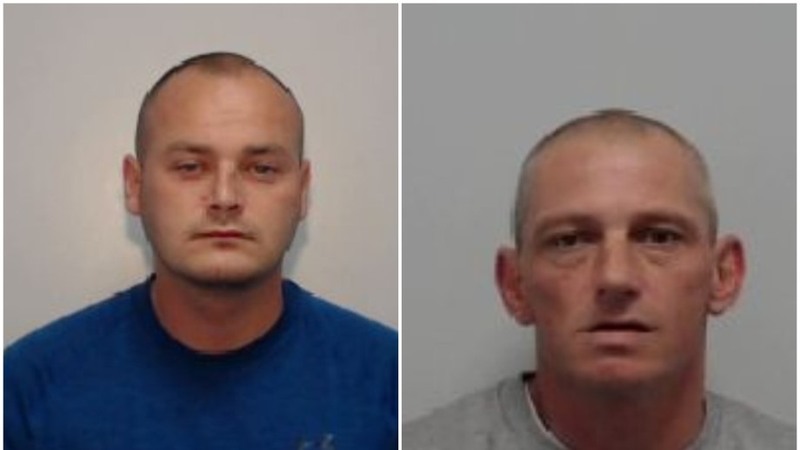 Detective Sergeant Nigel Rigby of GMP’s Wigan borough, said: “These men didn’t just demand money, they held an axe to an innocent woman’s throat as they made their threats. “They caused immense fear, taking earnings that did not belong to them, and I am grateful we were able to get them in custody 24 hours after the terrifying ordeal.